At Rostra, we're pleased to announce the availability of an all-new seat heating system for Toyota vehicles. Available for immediate shipment, part number 250-1870-TOY includes two seat heating elements (one for the seat bottom, one for the seat back) a Toyota-style thumb dial control switch with five heating levels, and custom harness with integrated power module. 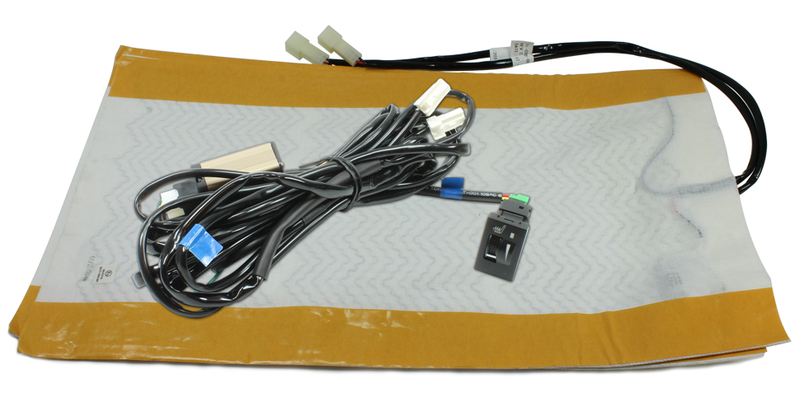 The seat heating elements and harness feature a high-temperature adhesive for holding the heating elements to the seat's interior foam, wires wrapped in a protective convoluted tubing to eliminate wear and tear chafing of the wiring as well as locking connectors. The control switch features a custom design to fit the blank knockout panels on today's most popular Toyota vehicles including the Camry, Tacoma, Prius, Tundra and more. 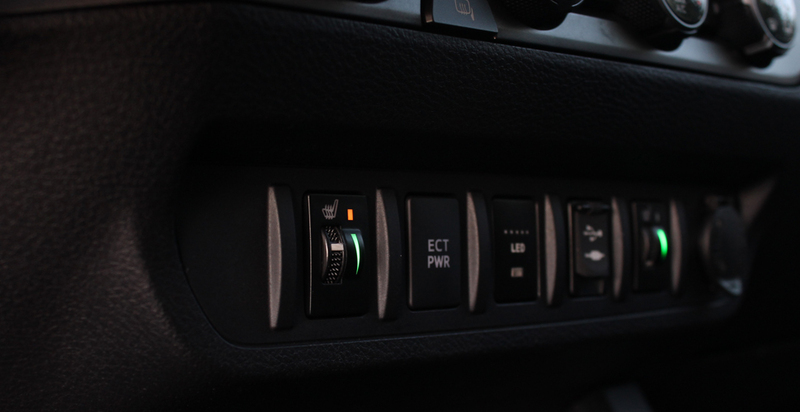 As well, the control switch includes an orange LED to backlight the switch when it is powered on and a dimmer wire to connect to the vehicle's factory wiring which illuminates a green backlight making the switch easier to locate in low-light conditions. Please note, seat heaters for Toyota cars and trucks are only sold through authorized distributors. Please contact Rostra to locate a distributor in your area for your Toyota vehicle seat heater.